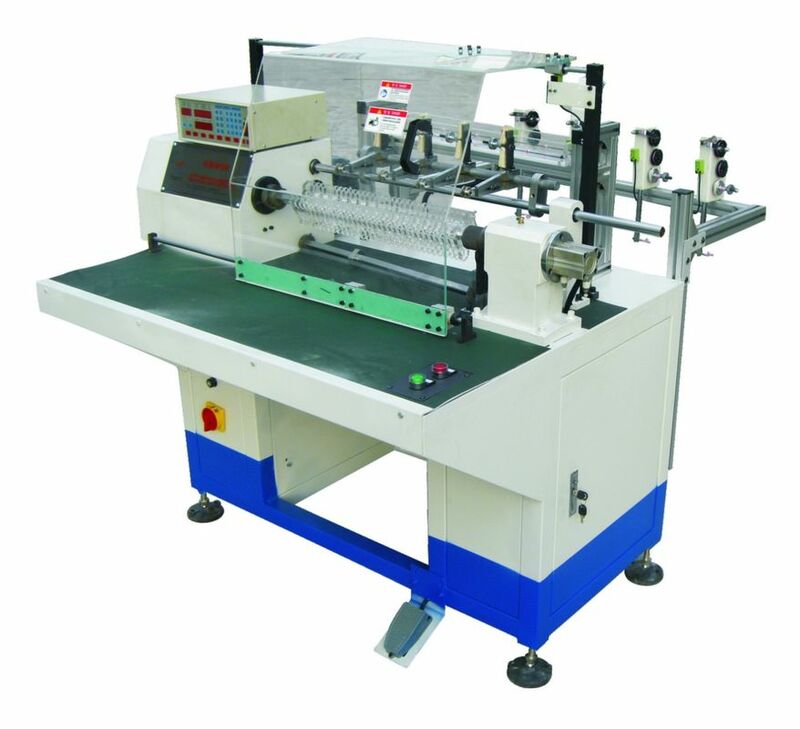 Coil Winding Machine is packaged with plywood cases. Its dimension is decided according to machine and some parts need to be packaged together. 1. It is suitable for multi-connected and multi-layerwinding. 2. The number of coils it can wind is up to 8 at a time. 3. Automatic slot change, starting winding position, idling start, idling stop, double-ended stop, automatic reset and automatic start could be set in control system. 4. There are two alternate spindles to facilitate higher output. 5. It can be applied to all kinds of micro motors such as fan motor, pump motor, air conditioner motor, three phase machine, etc. 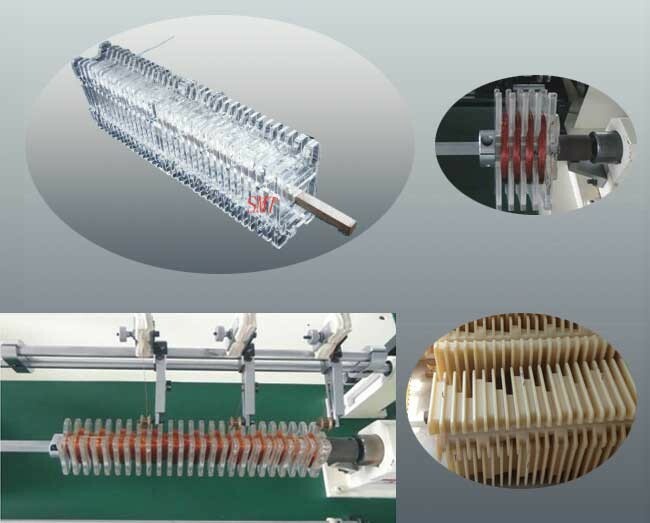 Machine "Semi-auto Washing Machine Motors Coil Winding Machine with Simple Structure" is used for winding electric wires to several coils in the winding form automatically and orderly. Operators need to unload the coils by manual. It is especially suitable for winding coils of micro and special electric motor. 5. It can be applied to all kinds of micro motors such as fan motor, pump motor, air conditioner motor, three-phase motor, etc. We're dedicated to developing and producing machinery / equipment for electric motors production, such as Winding machine, Coil Inserting Machine, etc. Design & manufacturing are as customer's request. For example, shape design, components brand and machine color,etc. can be specilized if customer has special request. Moreover, we can help to arrange the layout of machines of customer site when necessary. Our engineers will provide customer with technical support. Within one year warranty period, some technical support and some parts need to replace will be for free. Overseas after-service is also available. If customer needs our help, our after-sales engineers will be at customer's site within the shortest time. We are in a safe, professional and efficient service concept of "wisdom and humanity towards the direction of development, technology and the world simultaneously with the progress", to meet different needs of customers to create a brilliant career. With excellent after-service, professional engineers and high quality, SMT provide customer with various kinds of equipments for electric motors production. It can be one set machine or the whole prodcution line from winding process to final forming process. So if customer wants the whole production line, we can provide manufacturing technical consulting service and turn-key projecting service, including the motor cost evaluation, manufacturing know-how, staff training, even complete turn-key project. Suzhou Smart motor Equipment Manufacturing Co.,Ltd is a manufacturer in Suzhou city, China, which is specialized in R&D, manufacturing and selling automatic equipments for motor production as well as exporting equipments to the world. The company now has nearly 81 employees including more than 10 engineers and technicians, with the building area about 5,000 square meters and hundered sets of advanced production and equipments under testing.